Provide comfort for the family of Robert Hohenstein with a meaningful gesture of sympathy. Robert F. Hohenstein IV, 66 years old, of Brielle, NJ, affectionately known as Bob or Bob Ho to his family and friends, passed away peacefully at his Brielle home with his family at his side on February 15, 2019 after a long illness. He was the only son of Dr. Eugene C. Hohenstein and Marian Meyer Hohenstein of Westfield, NJ, who both predeceased him. He was born and raised in Westfield and had many happy memories of his Westfield childhood. He was a graduate of Westfield Senior High School in 1971 and a graduate of St. Lawrence University in Canton, NY receiving a B.S. in 1975. After his undergraduate years, he received a graduate teaching fellowship from Dartmouth College in Hanover, NH receiving a M.S., and thereafter he received an M.B.A. He spent his career in the labeling and packaging industry and was employed by Avery Label Corp. in North Brunswick, NJ and Sancoa International in Mt. Laurel, NJ. During his career he was fortunate to be able to travel throughout the U.S., Canada, Europe and the Caribbean, but he was always happiest to return to his family in Brielle where he resided since 1982, and to his beloved Jersey Shore particularly to his beloved Manasquan beach where he had summered since he was a young boy with his parents and made many life-long friends. He was fortunate to be able to attend the most recent Manasquan North End beach reunion in September, 2018 in which a large group of old friends gathered at the beach together to reminisce and enjoy each other’s company. He had many sports interests that remained life-long interests. He was an avid surfer who took his surfboard on any trips possible but was always partial to the waves at the Jersey Shore. He rode many, many miles on his mountain bikes and road bikes, particularly with dear friend, Marty Conte. He never turned down an invitation to play golf and was fortunate to play at many beautiful golf courses. He skied and snowboarded with his family at every opportunity and never missed a chance to ski with his life-long friend, Jack Geortner. He played in men’s ice hockey leagues for about 25 years and never missed a chance to assist with the Manasquan High School ice hockey program during his sons’ high school years. He also loved to assist the Manasquan Little League baseball and softball teams' coaches during the playing years of his three children at the Manasquan Little League fields. Bob is survived by his wife of 35 years, Alice J. Kavanagh, and his three children and daughter-in-law: Robert F. Hohenstein V and Caitlin Gray Hohenstein of Voorhees, NJ, Michael E.C. Hohenstein of Point Pleasant, NJ and Julia C.E. Hohenstein at home. He is also survived by his mother-in-law, Julia C. Kavanagh of Point Pleasant, NJ and his brothers-in-law and sisters-in-law: Michael and Annette Kavanagh of Brielle, NJ, Matthew and Marianne Kavanagh of Point Pleasant, NJ, Bill and Karen Kavanagh of Point Pleasant, NJ and Maureen Kavanagh Fleming of Fallston, MD, 11 nieces and nephews, Ronan Murray of Scotland who he considered part of his family and his Meyer and Johnston cousins. Family and friends are invited to attend a memorial visitation on Friday, March 1, 2019 from 4-8 pm at Orender Family Home for Funerals 2643 Old Bridge Road Manasquan, NJ. A Mass of Christian Burial will be held 11 am on Saturday, March 2, 2019 at St Peter’s Church, Point Pleasant, NJ. Ashes to be interred privately at the Hohenstein family plot in Fairview Cemetery in Westfield, NJ. The family is very grateful for all of the care and support received from the VNA Hospice program. In lieu of flowers memorial donations may be made to the Surfrider Foundation (by going to surfrider.org) or a charity of your choice. To send condolences to the family please visit www.orenderfamilyhome.com. 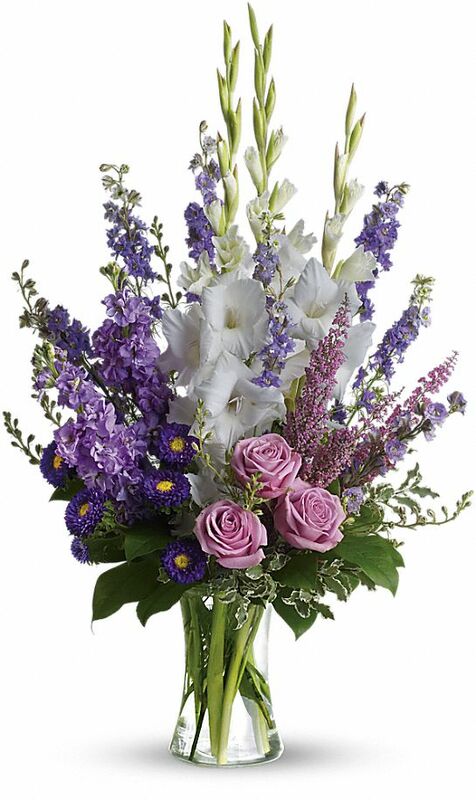 To send flowers in memory of Robert Frederick Hohenstein, please visit our Heartfelt Sympathies Store. Donations are being accepted for: Surfrider Foundation. The Students of McIntire Block 1 and From Mickey and Mike Gray have sent flowers to the family of Robert Frederick Hohenstein. No words can give comfort but we hope your love and memories will bring smiles through the tears. Tell each other funny Bob stories. Laughter is healing. We know this isn’t easy. Thinking of you all. - Love, Brett and Linda Crane. Dear Hohenstein Family, we offer our warmest condolences during this difficult. Our thoughts and prayers are with you. The Students of McIntire Block 1 purchased flowers for the family of Robert Hohenstein. 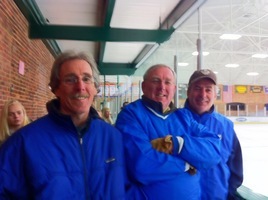 Bob and friends at a Squan Hockey game.